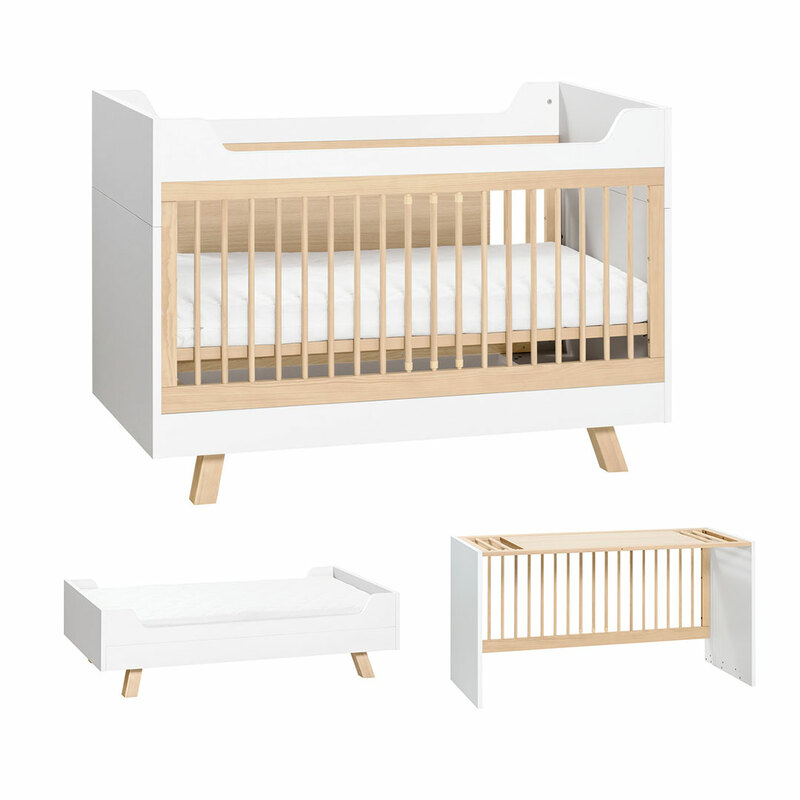 The 4You Cot Bed by Vox offers removable cot bars for baby to climb out when they’re ready and thereafter becomes a bed and desk! 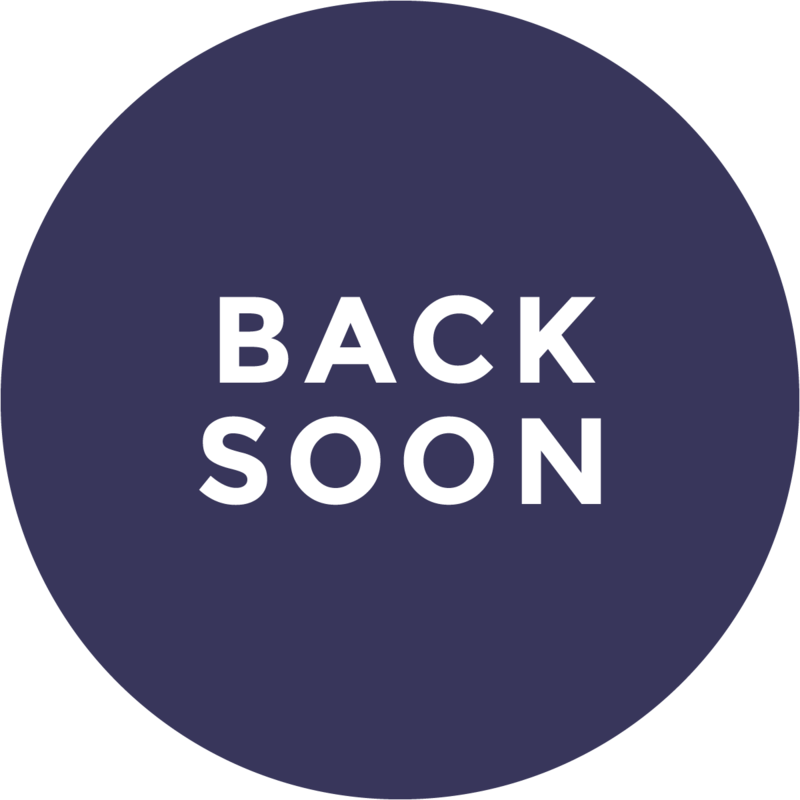 Delivery expected within 103 to 115 days. 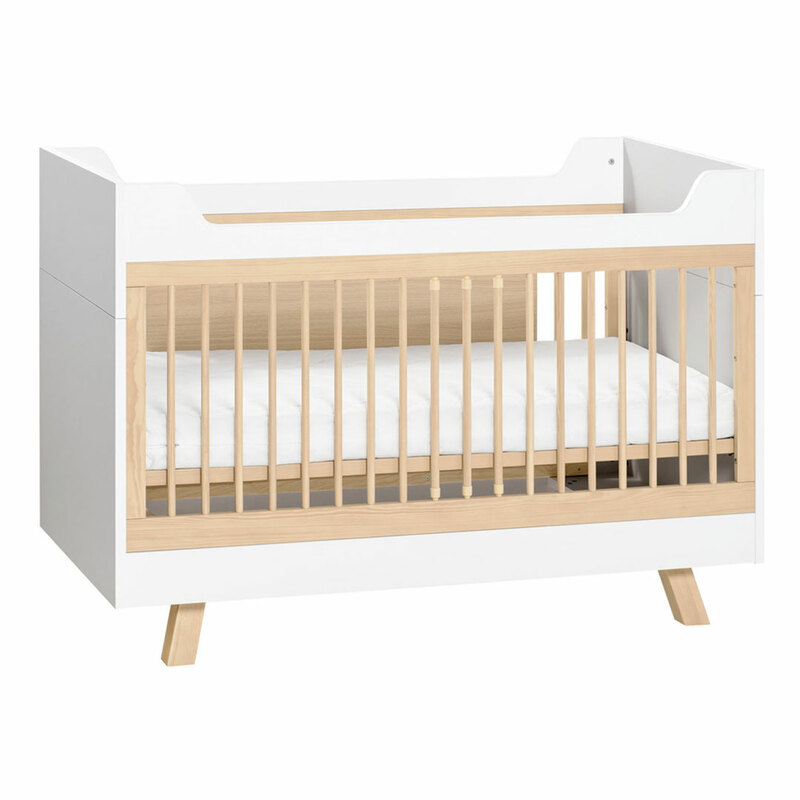 By removing three bars from the cot bed you will open the very first door to the world of small but great discoveries for your child, meaning the toddler can freely travel around the room and get to know their space. 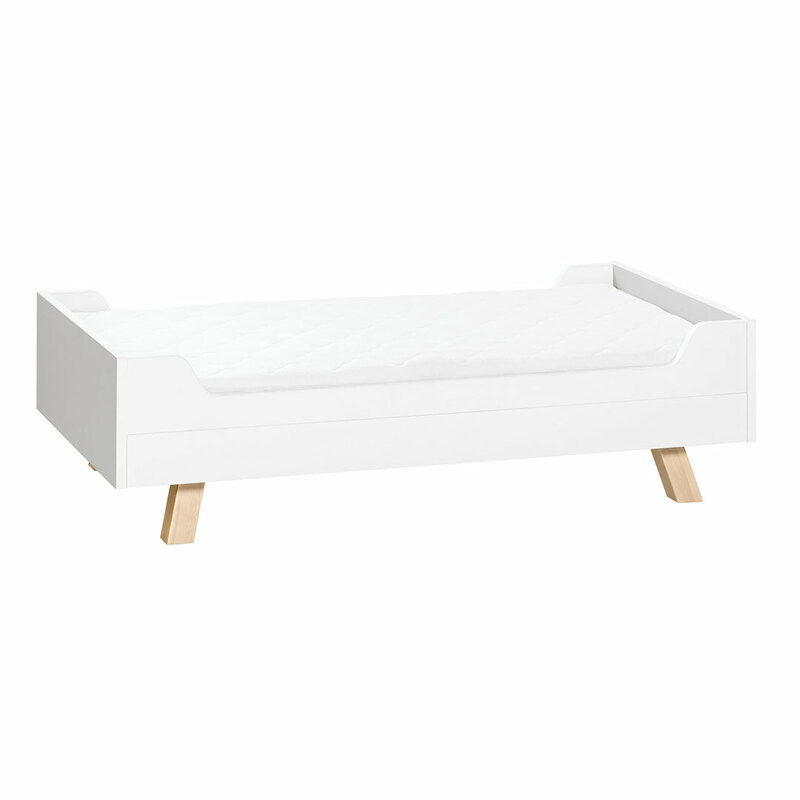 The bed offers three possible heights for adjusting to your child’s changing needs. The 4You range will grow with your child. 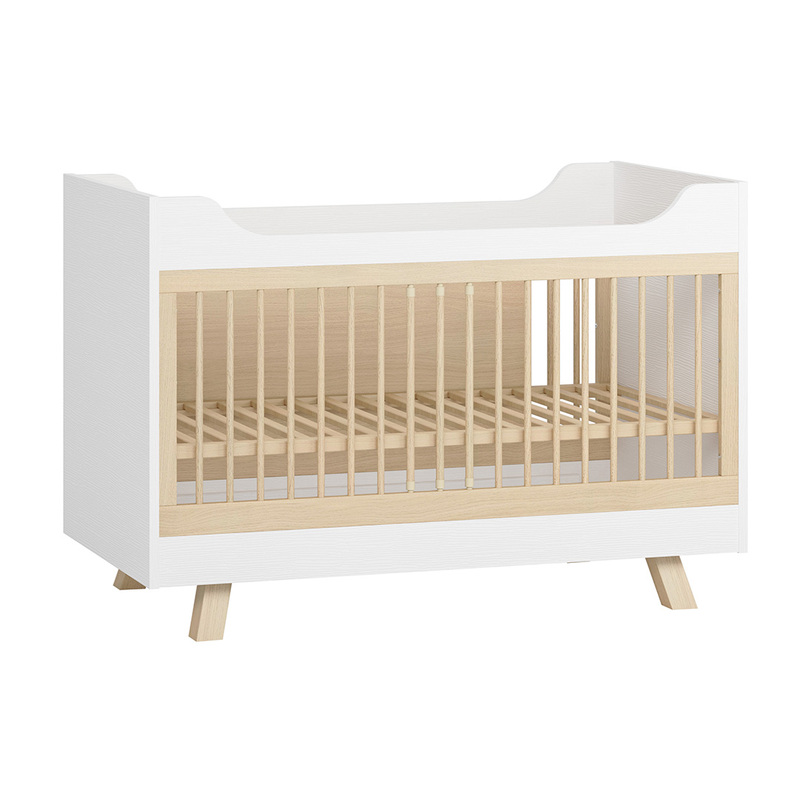 When your child does not need the bars anymore, you can turn the cot bed into a child’s bed and a desk with the various parts from the cot. Impossible? Not anymore! 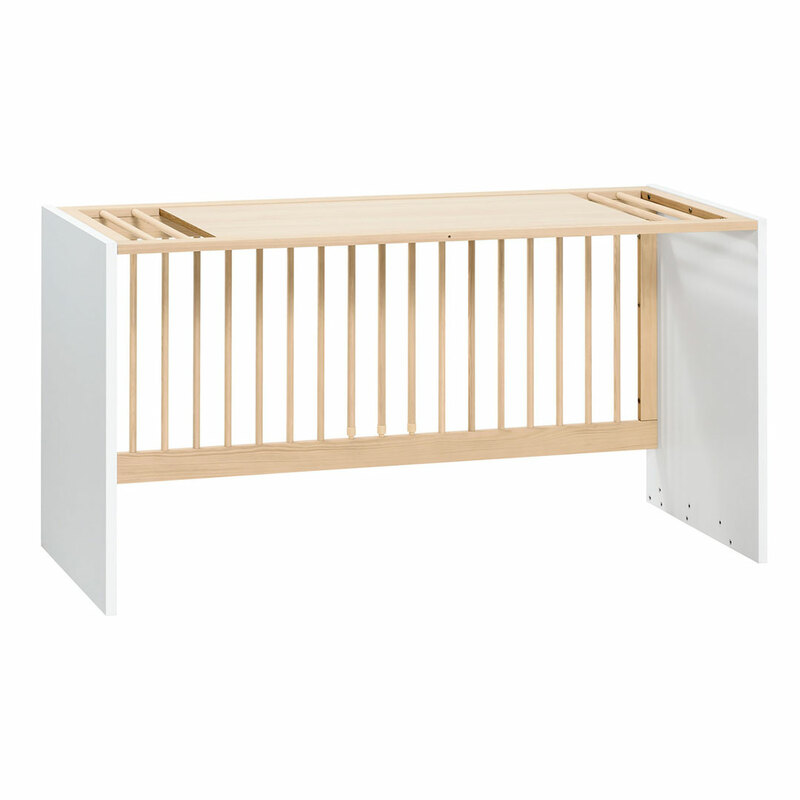 When you turn the frame of the cot bed upside down, you will create a stable and safe desk. The bars may be used as hangers for organisers which will keep important little objects in order.